KAKAK Siti was our house manager for over 10 years. She turned out to be a gem from the start, someone whom we could truly rely on in all situations. Kakak Siti was more than our house manager. She was a mentor and tutor for the kids; a pillar of support for my wife who would sometimes come back from work upset and anguished; and much more. Kakak Siti’s day would start early in the morning, preparing breakfast and ironing the clothes. Her chores were never-ending and she did all that as she felt she was duty-bound. It’s not like we were slave-drivers and made her do too much work. We were always concerned about her and would sometimes tell her to go easy, but that was Kakak Siti. Always taking it upon herself to do her best for us. A lady with so much humility she was, unlike the many other horror stories we have all heard about. Kakak Siti would most of the time decline our invitations to tag along for meals when she did not cook. It was the simple lifestyle for her and she preferred not to “intrude” into whatever the family did. Besides all the above, she was also honest and trustworthy. Never did a single sen go missing from my pocket or from the small tabung I had on my table. In fact, she knew where my wife kept her money, which could sometimes amount to a few hundred ringgit. Then there was the little bit of jewellery which every normal family has tucked away somewhere. She could have easily walloped the money and jewellery which would have been quite a fortune for her more than 15 years ago. Instead, she guarded the house as if it was her own fortress. Sometimes we would go off to Penang for a few days but Kakak Siti would stay back. Not that we did not want to bring her along but because she preferred to keep to her tasks, with or without us around. She did more than what was ever expected of her, once even repainting much of the house when she was alone at home for days. Kakak Siti left to start a new life in 2011, probably knowing her job with us was done. She had succeeded in helping to build this household. 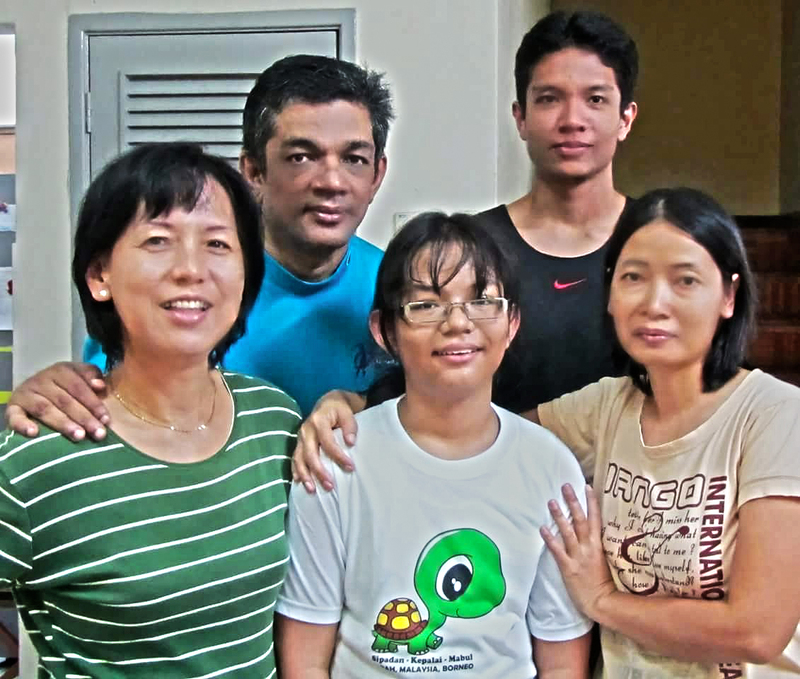 The writer (left, back row) and his family with Kakak Siti (right, front row) in one of the last photos they took together. We are truly indebted to her for her sense of duty, honesty and integrity. Thank you, Kakak Siti. We still miss you. Footnote: The above is a true story and also sort of an analogy. Purwaiz Alam is a former journalist with 35 years of experience, mostly doing editing. He has worked with most of the English medium newspapers in Malaysia and a couple of news portals.